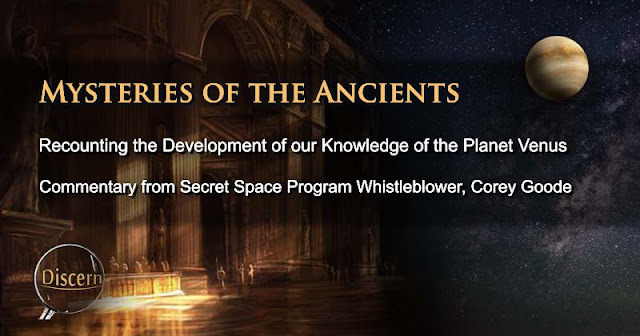 The Cosmic Disclosure series on Gaia.com has brought numerous disclosures to us over the past several months. This series has featured some of the most telling and revealing intelligence from special access and secret space programs since it first aired. These disclosures have been astounding—sometimes even shocking to hear, and perplexing to consider. Among the many subjects which have been discussed over the course of this series, there have been numerous revelations on the planet Venus. Early on in the series, I found it unfortunate to hear that there was not much information available on Venus for us to learn. 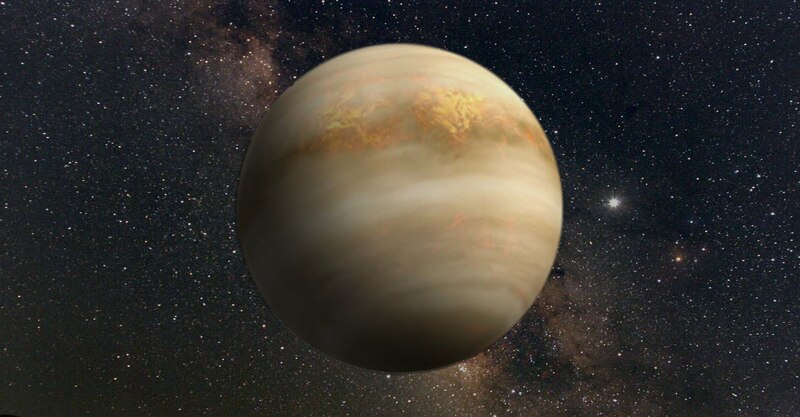 At the time, I was eager to learn about this close planetary neighbor of ours, as the planet is thought by some to have once been inhabitable. Though we were initially unable to hear much about the activity on Venus, this trend has changed significantly over the last few weeks and months. The recent disclosures from Corey Goode on the planet Venus revealed much more than the intel discussed in previous episodes. It seems that the experiences of Goode and others, though unpleasant and painful at times, have lead to an opportunity to learn about Venus, to see its surface, and to even see the inner world of this once-inhabited planet. This article is an exploration of the intelligence we have been able to gain about Venus over time. From this information, I intend to learn the true nature of our current planetary situation and to hopefully help us make productive choices as to how we progress from this point forward. There have been many discussion on the topic of Venus between David Wilcock and Corey Goode. 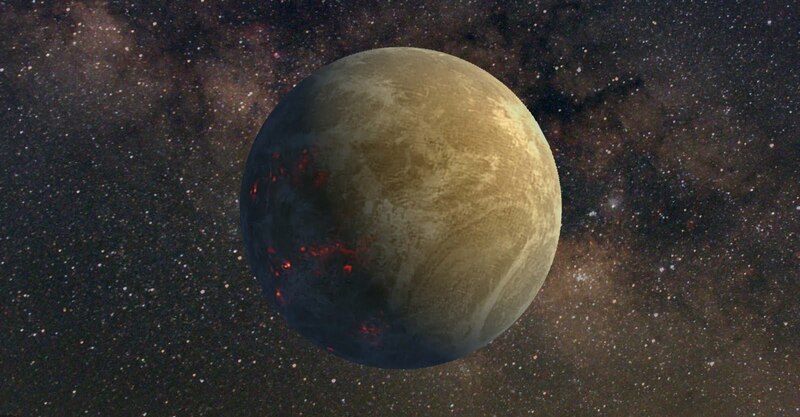 One of these topics is that Venus is the former home of the group known as the Ancient Builder Race, or the Progenitors. This group, which is said to have inhabited our solar system millions of years ago, went through their own evolutionary process just as we are presently. As they did, they learned, grew, and flourished in numerous ways. These beings were both spiritually advanced and technologically innovative. This combination led to the building of a vast, interstellar infrastructural of pyramids, bases, and other structures throughout our local star cluster. This infrastructure is a common topic of discussion in the Cosmic Disclosure series. There is also a good chance that this advanced group was the group which originally communicated the Law of One text. As we may have heard, the Law of One was channeled and then later printed and published in the early 1980s, and has helped many people who seek to better understand themselves and the universe as a whole. There are a number of passages within this text which reveal the history of the Ra group being channeled. Below is one specific passage which mentions the planet Venus as the place where this Ra group originated. 6.23 Questioner: The photographs of the bell-shaped craft and reports of contact from Venus [exist from] less than thirty years ago. Do you have any knowledge of these reports? So it seems that those behind the Law of One text originally came from Venus and that at some point they visited humankind here on Earth. The text also gives us a key detail on mass consciousness in that this consciousness is actually contributing to our life experiences. Collectively speaking, the entirety of humanity is contributing to our global experience through our thoughts, our emotions, and energy. According to the text, these beings–along with the mass consciousness of the planet–can help to create experiences with a certain type of UFO. As it states, with the combined efforts of these beings (from millions of years ago) and Earth humans (from modern times), these bell-shaped craft can appear in our skies. To add, these Venusian say that they actually came to Earth, and that they had some form of communication with the people of the ancient past. The Law of One speaks of other references to these ancient Venusians. These beings actually evolved to the point of 6th density and as they ascended, they eventually developed supernatural abilities. Here is the text with the details. 6.4 Questioner: He’ll understand me. We’ll be very careful to totally inform Tom before he attends. Thank you very much. 6.5 Questioner: How did you journey from Venus to this planet? 6.6 Questioner: Then you… Would it be possible to take one of the people at that time from our planet and place him on Venus? Would he survive? Were conditions much [inaudible]? 6.7 Questioner: How were you able to make the transition from Venus, and I assume the sixth dimension, which— would that be invisible when you reached here? Did you have to change your dimensions to walk on the Earth? As we read, these beings were much different in appearance than the average Earth human at the time of their visit. 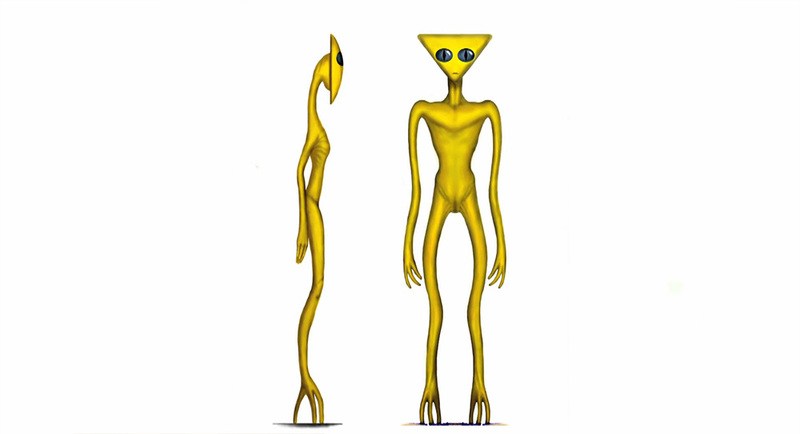 They were delicate according to the description, and even though they used thought to come to Earth, they actually came to our planet in solid form. These beings sound to have had ascended abilities, as they say that they traveled to the Earth not physically, but possibly by creating apports of themselves in some way. This sounds similar to the descriptions we hear from Corey Goode when he describes what he refers to as the Golden Triangle-headed beings. These were actual beings who had large, flat, triangle-shaped heads and large eyes. 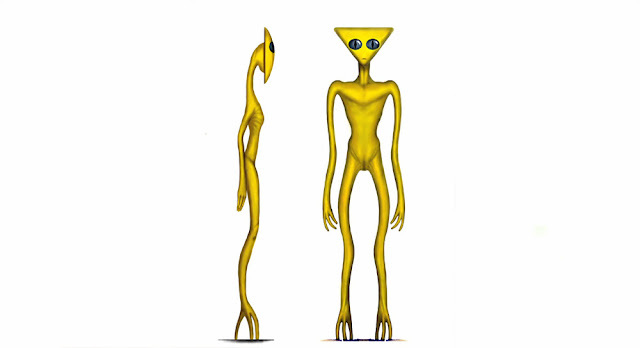 These triangle-headed beings were said to be very tall in appearance, and even though they were solid, it was as though they were not completely present as they stood in a room. The people around them had telepathic conversations with them, but their appearance was much different than we hear from other encounters with ET species. I cannot say whether or not the Ra group was specifically like these triangle-headed beings, but the description does seem similar. In other passages, the Law of One gives other references to how these beings from Venus were once 6th density. They came to Earth in order to help the people of the past to move beyond their evolutionary state. This was centered around the civilization of Atlantis and is said to have taken place during the beginning of the present 25,000-year cycle. As events would progress, these Ra beings gifted Earth humans of the time with the technology of pyramids as a means of helping humanity to ascend more quickly. However, the positive results intended by these beings did not pan out. Due to humanities tendency for control and violence, the elitists of the time turned to darker and darker ways of living and used the pyramids for themselves. These elitists turned around and enslaved the rest of humanity and worked to create the difficult situation we find ourselves in today. These Atlantean elitists are said to be the ancestors of the present-day cabal, and it is this group and their methods of control which have create the our current issues. It was this act of assistance--which was turned to hindrance--that caused the 6th density Ra beings to descend back into 5th density. This was so that they could help undo the problem which they helped create at the beginning of our current 25,000-year cycle. Despite their necessary descent into 5th density, these beings have shown to be positive in orientation, though as with any being or group, the Ra group is still learning like the rest of us. During their time in the 3rd density, this Ra group inhabited Venus and developed in their own way. When they ascended beyond 3rd density, they left the planet and are said to inhabit another realm beyond our own. Since that time, Venus has become the uninhabitable planet we know today. 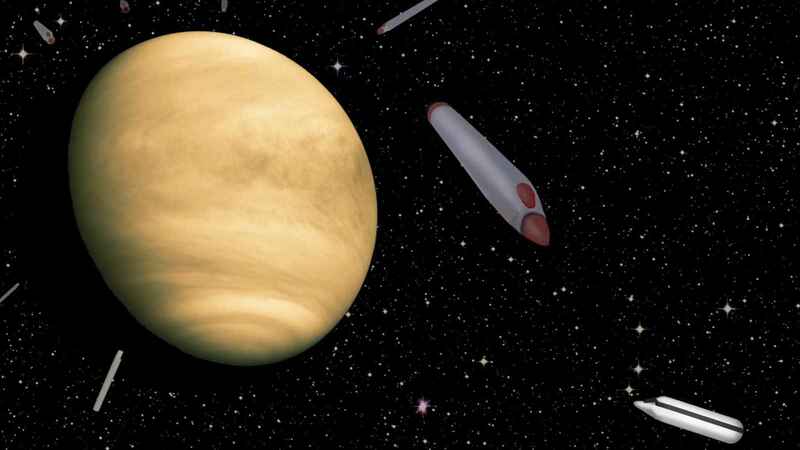 Though there are reported to still be inhabitable regions inside of the planet (as well as floating bases in the planet's upper atmosphere), the surface of Venus is said to be too hot to support life as we know it. As the disclosures progressed, the story surrounding the operations on Venus developed further. It was the man known as Lieutenant Colonel Gonzalez who would first attempt to visit the surface of Venus. According to Corey Goode, Gonzalez went to the inner world of the planet, but was turned away by the AI projection/guardian there. As we may recall, Lt. Col. Gonzalez was in a triggered state after unfortunately being outed during Corey Goode's abduction and interrogation. Gonzalez had to go into hiding for his safety. In so doing, he was forced to leave his life on the surface behind, as well as his loved ones whom he would no longer be able to contact. 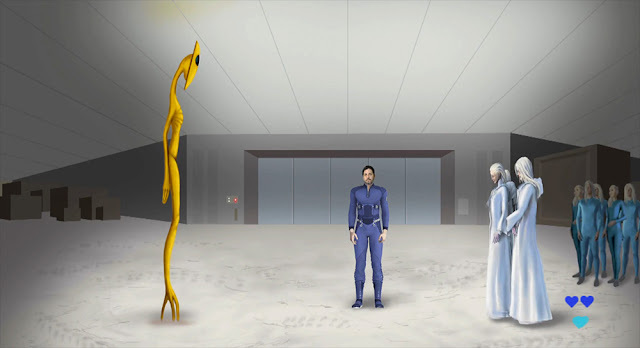 Gonzalez ended up staying with the Anshar of Inner Earth who provided him safe haven for a time. However, this would later prove to have its own difficulties for all parties involved. After going into hiding, Lt. Col. Gonzalez attempted to keep Corey out of the loop, and ended up going on different missions on his own. During that time, he visited the inner world of Venus, but (as stated) was turned back by the sentinel there due to Gonzalez’s egotistic state at the time. Though Gonzalez eventually came around after this point, he was very difficult to communicate with during this time after going through so much. Due to the secrecy surrounding Venus as well as Gonzalez's refusal to disclose at the time, much of the knowledge of Venus was hidden from Corey Goode as well as the rest of us. However, that would change at one particular point. Below is the beginning of the release of information in greater detail on the subject of the operations taking place on the planet Venus. David: All right. So while we're mapping out our habitation of our solar system and beyond, we haven't covered the moons of Mars. We haven't covered Mercury. We haven't covered Venus. You had said to me before, we can't land on gas giants because there's too heat and too much pressure. Corey: Venus is another story. On the surface of Venus we have very heavily pressurized bases that are just like any of the bases like we would have at the bottom of the Marianas Trench, heavily pressurized. But believe it or not, most of the bases we have are in the upper atmosphere in the clouds. Corey: Of Venus. These are entire bases that are floating in the upper atmosphere of the clouds, and these are ICC-controlled facilities. David: Really? Well, so many times I've seen incredible parallels between what you and all the other insiders in the know have said and what's in the Law of One Material. And it can't be an accident. And the Law of One Material said that the group that did the speaking actually had lived on Venus, 1.2 billion with a B years ago. 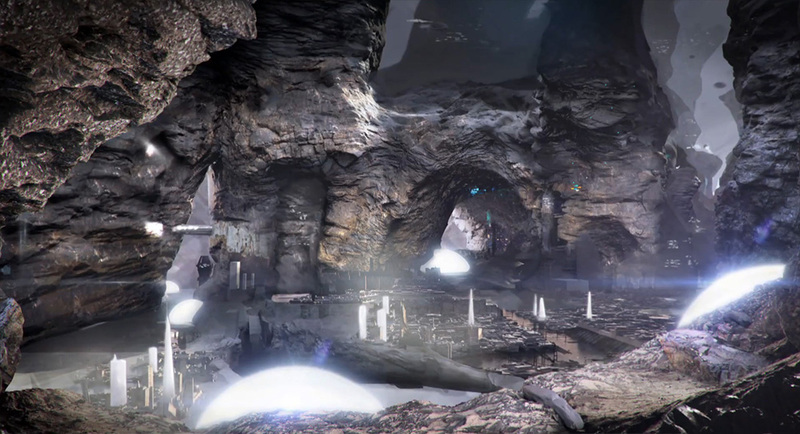 Are there any ruins that were found on Venus that you know of? Is there any type of evidence of an ancient civilization? Corey: Venus is a very-- there's a very huge information blackout. There's something going on on Venus. David: So even at your level, you weren't allowed to know about it? Corey: Oh, there was a lot of stuff I wasn't able to-- When I was looking through the glass pad, I would blue screen on a lot of stuff. But on Venus, I was able to just know-- and we saw vessels coming and going from Venus. But there's something going on on Venus that I have no idea what it is. Maybe some whistleblower out there will come forward. I have a feeling after this series has aired, there's going to be others who've been in this program that I've been in, are going to finally come forward. I know many have talked to you and other researchers out there that have mainly talked off the record, but on the record have, just like I've stated, walked right up to the line, stopped, and then backed off and not told what they've known. And a lot of these people, I have a very good idea of the jobs they did. And I know they know a lot more. But there are a lot more people out there that I hope to inspire to come forward with their information. As stated, this was the beginning of the lifting of the informational blackout we heard of previously. We may keep in mind that this is the secrecy that typically comes from the various branches of the Secret Space Program. As Goode has stated in the past, these programs have such a high degree of compartmentalization that very few, if any operatives within them actually know the entirety of operations within the SSP. 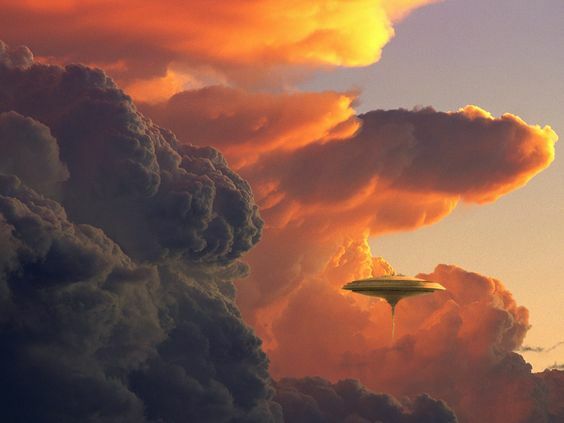 It is uncertain at this point what might be going on in the clouds above the surface of Venus, but it would make sense that surveillance would be a large aspect of these activities. It might also be expected that if this were a site of the former Ancient Builder Race, there would be some type of salvage operation taking place for any technology left over by these inhabitants. However, any salvaging may need to be completed by drones due to the excessive heat on the surface of the planet. The specifics of these operations on the surface of Venus remained vague for a time. However, in July of this year (2016), we received the first detailed intelligence on what has been taking place on this planet. Though we did not hear much of what the SSP was doing specifically, we did get to see that there is still working technology somewhere on or below the surface as well as in the skies above the planet. Below is an excerpt from the episode when we first learned of activities taking place on Venus. David: Okay. So you just get this flash, and now you're on board this craft in a bed. Corey: No. We had to board. We had to leave a room and then walk a little ways into the flight control area and board the craft. David: Oh. Did the room look consistent with other Inner Earth areas that you'd visited before? Corey: It was a white room. David: And you fly through a portal? How do you get out of there? Corey: Well, we . . . the same way. We fly out through the blue swirl. Corey: And we exited the atmosphere, and we headed to Venus. She said, “We were going to Venus to the ancient outpost.” And that was a very short trip in that craft. I don't even . . . We were talking a little bit, but all of a sudden we were just there in a matter of minutes. And we stopped pretty far off. You know, Venus was about this big. [Corey shows a 10-inch circle with his hands.] And there were all of these real long, several kilometer long craft that were real narrow, almost pencil-looking. And they had faded red, looked like paint, on the back and on the nose cone. And then there was faded , , , some sort of, I guess, ornamentation, decoration, that had been on it, that I couldn't make out, close to where the cockpit was. And they were pointed down towards Venus with the rear end sticking out, you now, toward space, and were just parked there. And then there was one of the big craft that just immediately appeared in front of us and blocked our way. And I didn't hear anything, any . . . You know, there was no radio chatter. David: So you have no idea who these people are . . .
David: . . . or where they came from. Corey: And nor was I told. Corey: And she said, “We'll need a few moments. There is . . .” This was, I guess you would call, a scheduling conflict. Corey: So we're sitting there, and she starts to go in . . . and we talked a little bit, or conversed a little bit. And then she was . . . started to . . . like she was starting to prepare me for what I was about to hear. And she also inquired about this . . . if this meeting was approved, when it would occur, the logistics of it - between the Super Federation and all the groups that were signatories to that Muhammad Accord, or whatever they call it. Corey: And she was just starting to get into tell me about some of the things that the Draco had claimed. They had claimed that millions and millions of years ago, this was their genetic experiment location, and that some of these groups had come in from other star system and had wiped out their colony here, and that there were something . . . that there were three lost races that they were upset about. David: You said the Draco only showed up after the Super Earth exploded 375,000 years ago. Corey: Right. Right. She said this was the narrative that they were putting forth, that the Earth was theirs and it always was. It was at this point that we as the audience heard much more than what we had before. We actually heard of spacecraft activity around the planet which seemed to be playing the role of guardians for whatever might be on the surface. We saw that whatever was on the surface was of such importance to someone that it needed to be protected to such an extent. These ships may have been piloted by beings, or they may have been automated by some advanced A.I. technology. If this was the case, this A.I would need to have telepathic ability in order to communicate with Kaaree in the way described above. If this facility is the operational remnant of the Ancient Builder civilization, and those within the SSP had been unable to enter it, this might mean that the sentinel and the guardian ships were advanced enough to thwart any attempt at forcible entry be the SSP or any other group. Either this is true, or all groups who encountered this advanced, psychically interfacing technology were extremely respectful of the wishes of the ancient people. It is my thought that this technology played the role of both communicator and guardian of the ancient knowledge of the Builder Race, but this is only a guess. To add to these revelations, there was one segment of the Cosmic Disclosure episode titled, “Revelations from Inner Earth.” During this episode, one interesting detail was disclosed on the history of Venus. This was on the possible interactions between the inhabitants of Venus and the Anshar. Here is that segment. David: So you basically just described some variation of all the major races that are on earth. Corey: And they were all coming together to meet, to discuss all of the events that were going on that had pretty much caused them to form this council. There what had been a lot of battles and attacks and a lot of things going on underground that were very troubling to them that had caused casualties among their people. So they're very much purists of their culture and genetics. The omega group mentioned that they were worshipers of Venus, and they mentioned a couple times the Prince of Venus, the Morning Star. David: The eight pointed star apparently is a symbol of Venus. There may have been some interaction between the Anshar and the ancient people of Venus at some point. If this is the case, this may have contributed to the Anshar belief system with regard to the Prince of Venus. 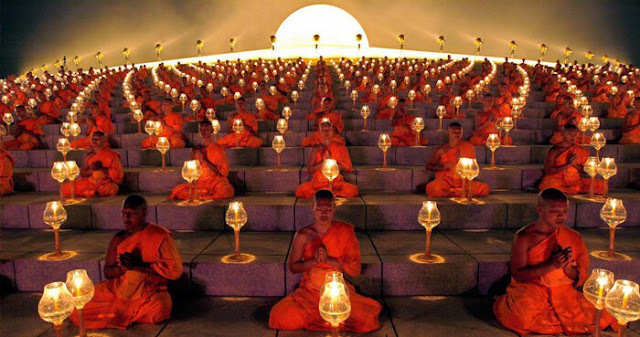 It is common within interactions between different civilizations, where one group is more advanced than the other, that those who are less developed will admire and sometimes even worship the group of greater advancement. This may have been the reason why the Anshar chose to include the idea of Venus in their religion and to fashion their amulets in the form of their chosen shape (though this too is only a guess). We cannot say for certain what relationship existed between the Anshar and the Venusians, but we can say that the people of Venus made a memorable impression. According to the Law of One, they made quite the impression on the surface of Earth as well. This has been an interesting subject to research, and has helped me to fit a number of pieces together since the Cosmic Disclosure series began. I hope that so far, it has helped you as well. However, we have yet to get to the best part of this exploration. Part 2 of this article is coming very soon, and with it, I intend to go even further in depth on the magnanimous implications of Corey Goode's revelations on the inner world of Venus.